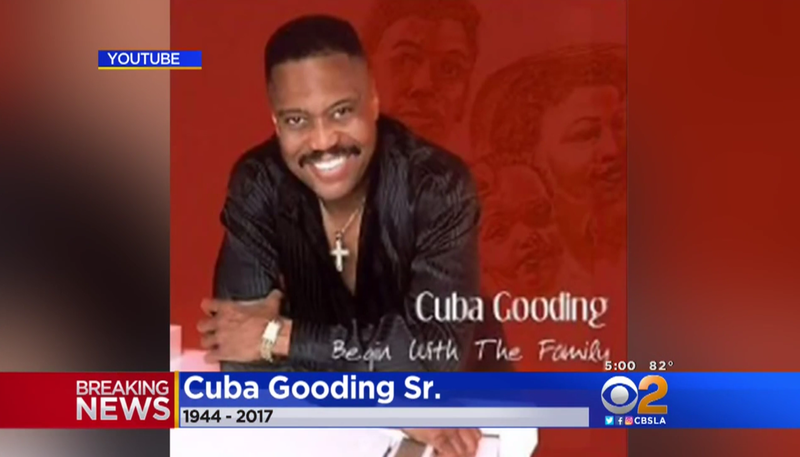 WOODLAND HILLS -- A death investigation is underway after the body of 72-year-old singer Cuba Gooding Sr. was discovered in his car Thursday afternoon in Woodland Hills, CBS Los Angeles reports. Gooding’s body was found in his Jaguar before 1:10 p.m., Los Angeles police confirmed. According to the Los Angeles County coroner’s office, he was found unresponsive and later pronounced dead. The cause of death is under investigation.